This year’s spring/summer runways gave the magpies among us plenty of eye candy to lust after. 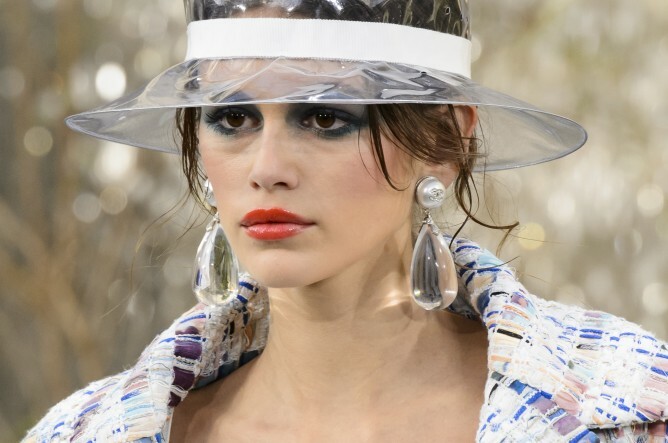 Statement shoulder-sweeping earrings took centre stage at New York thanks to Oscar de la Renta’s sunburst structures and Prabal Gurung’s mismatched cascades of pearls. 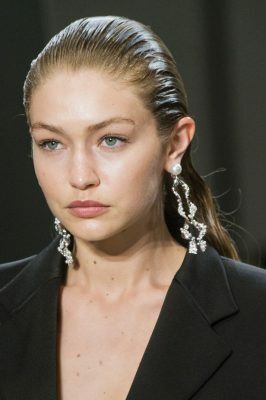 Meanwhile, Valentino opted for oversized silver leaves and baubles that hung from delicate gold threads. 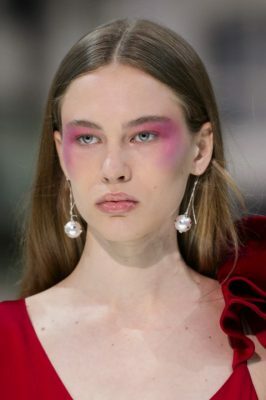 In London, dramatic chandelier earrings were worn at Burberry and sculptural pieces were spotted at Rejina Pyo, who is heavily inspired by the works of Alexander Calder. 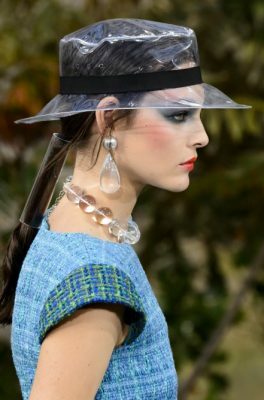 Of course, last but not least, gem-smothered giant monogram studs showcased sun-kissed faces at Chanel, solidifying dramatic earrings as the trend of now.